OurEnergyPolicy.org | Will There Be Sufficient Electricity? Will There Be Sufficient Electricity? An analysis has been made to determine if there would be enough electricity in the US by 2050 to support a carbon-free future to avoid the worst effects of climate change. Assuming that carbon capture and sequestration is not practical, a mix of nuclear and renewable energy power plants was examined. Existing fossil power plants and nuclear plants represent 86% of the electricity that was produced in 2012. By 2050, to be carbon-free, all of these fossil plants would have to be phased out, while all present nuclear plants would have reached the end of their operating licenses. According to the analysis, if we just replaced present fossil and nuclear power plants on a one-for-one basis, over three new power plants would have to be brought on line every month for the next 432 months. The cost for replacing present capacity and allowing for a 40% increase in demand by 2050, could be as high as $5.4 trillion dollars. Besides this huge price tag there are significant infrastructure problems that will limit the rate at which new capacity can be brought on line. Infrastructure issues may end up being more constraining than financial ones. For example, several years ago the American Wind Energy Association (AWEA) calculated that it would take 100,000 large wind turbines to meet 20% of the nation’s electricity needs by 2030. The National Renewable Energy Lab (NREL) has calculated that about 15,000 miles of new, extra high voltage power lines at a cost of $80 billion dollars would be necessary to connect these 100,000 wind turbines to the existing grid. Have a diverse supply of electricity. Can a carbon-free portfolio provide all the electricity America needs? What are the biggest barriers to a carbon-free future for America? 33 Responses to Will There Be Sufficient Electricity? Yes, we have many options, to meet our electricity needs. I hand out to my GWU students 29 studies which, in aggregate, show we can meet most or all of our electricity needs with existing commercialized technologies through the entire portfolio of high-value energy efficiency and renewable energy applications. The 2013 McKinsey report states, “Globally, energy efficiency represents about 40% of the greenhouse gas reduction potential that can be realized at a cost less than 60 per metric ton of carbon dioxide equivalent. In many cases it is an extremely attractive upfront investment that pays for itself over time, while providing the added benefits of reducing the cost of energy and increasing the energy productivity of the economy”. I devise my students that it is ALWAYS less extensive to save energy than generate it from any energy source. If the country really wanted to be assured of electric power availability with the lowest carbon output, federal, state and local governments really need to drive incentives — tax and regulatory — to accelerate and maximize energy and water efficiency. After that, a myriad of prestigious studies show the pathway. Oakridge National Labs shows that waste heat (combined heat and power) can conservatively meet 8% of US generation, MIT that geothermal can conservatively meet 10% of US energy needs, EPRI that marine energy (tidal, wave, ocean currents and thermal, free flow hydropower, etc) can conservatively meet 10% of US energy, and several studies concluding that bioenergy from landfill, forest wastes, contaminated grains etc, can sustainably meet 18% — all of which tallies to a 46% share of total US energy and represents 24 hour power generation. USDOE and the National Renewable Energy Laboratory has wind at 20% and the combined lab study has concentrated solar power (southwestern 24 hour power) conservatively at 10%. Several studies have distributed photovoltaics (solar electric) conservative at 12%, and the renewable thermal sources: solar, geoexchange, hydrogen fuel cells, bio-thermal conservatively at 8% totally 50% of US generation. In May 2014, Germany’s renewable energy generation surged to nearly 75 percent of the country’s overall electricity demand by midday. With wind and solar, in particular, filled such a huge portion of the country’s power demand, electricity prices actually dipped into the negative for much of the afternoon, according to Renewables International. In the first quarter of 2014, renewable energy sources met a record 27 percent of the Germany’s electricity demand, thanks to additional installations and favorable weather. And Germany is the fifth largest global economy. California, the world’s 9th largest economy produces over 15% of it’s electricity from renewables up from 13.6% in 2011 and moving towards 33% by 2020. As petroleum, natural gas, coal and uranium are all global commodities subject to the whims and threats of the global marketplace – efficiency and renewable energy sources are inherently domestic and cannot be manipulated. In 2012, for new electricity coming on-line renewable output was slightly higher than new natural gas generation. In August 2014, according to the U.S. Energy Information Administration (EIA)’s latest “Electric Power Monthly” report, with data for the first six months of 2014, renewable energy sources (i.e., biomass, geothermal, hydropower, solar, wind) provided 14.3 percent of net U.S. electrical generation. According to SUNDAY, “even with the lower output from hydropower and geothermal, net U.S. electrical generation from all renewable sources combined grew by 2.73%. By comparison, net electrical generation from all energy sources – renewables, fossil fuels and nuclear power – grew by 2.59%.”. The trends are in the direction of renewable resources paired with optimum energy efficiency. Any other pathway just threatens our economy, our access to sustainable water, as well as meeting our emissions obligations both under the Clean Air Act as well as our ethical requirements to substantially mitigate our greenhouse gas emissions. Dr. Sklar seems to be in full agreement with many of the points that I have made in “Will there be sufficient electricity?”, especially my three top bullets dealing with the need to emphasizing energy conservation. All energy plans must place first emphasis on conservation.We are also in agreement that renewable energy should be a major component of a future mix of energy sources. First, could he provide the renewable energy contribution in Germany, not for one peak afternoon, but throughout the whole year? Were there times when renewable energy production, not including hydropower, was very limited and what did Germany do when this happened? Is Dr. Sklar in favor of Germany’s construction of new coal plants? What progress has Germany made in reducing its release of GHG, year by year, for the last five years? How does Germany compare with France in terms of cost per kilowatt-hour of electricity and GHG releases per person? Second, In reference to several studies he mentions (References?) on photovoltaics, does Dr.Sklar disagree with DOE’s 2012 SunShot Vision Study which concluded that even evolutionary improvements in photovoltaics (PV) would be insufficient to achieve price parity for PV and that revolutionary improvements would be necessary to make PV competitive? If Dr.Sklar disagrees with this DOE analysis, it would be helpful for him to explain why. Third, lumping price variability of oil and gas, both international commodities, with an assumed price variability of uranium needs to be justified. The cost of the fuel in a nuclear power plant is in the range of about 4%, of which the uranium cost is just a part. One could double the price of uranium with very little effect on the cost of nuclear power. Further, nuclear fuel loaded into a reactor will produce energy for several years, making it fairly immune to the daily price fluctuations seen in oil and gas.If nuclear power plant operators were truly concerned about rising uranium fuel costs, they could have several years worth of new nuclear fuel on site, in storage. Dr.Sklar needs to justify his statements on the importance of fluctuations in uranium prices. Fourth,If Dr.Sklar is truly concerned about costs, then he should reflect upon what Tables 1 and 2 demonstrate. These tables show that nuclear power is considerably less expensive per kilowatt-hour than the renewable energy sources he favors. This is more than an economic issue, it is an environmental issue. These tables show that per dollar invested you get more carbon-free electricity from nuclear power than almost all renewable energy sources. Further, the primary reason for the higher cost of renewable energy per kilowatt-hour compared to nuclear power is the comparatively low capacity factors of renewable energy systems. There is very little that people can do, economically, to overcome low capacity factors unless Dr.Sklar is assuming that solar energy would be collected high above the earth, as some have proposed. Fifth, I find it unconvincing that the fact that all renewable energy combined grew at 2.73% while renewables,fossil fuels and nuclear grew at 2.59% is any indicator of trends or future energy mixes. What does a tiny difference of 0.14% (0.0014) really mean? I am disappointed that Dr.Sklar did not address the issue that we will need both nuclear power and renewable energy, plus a heavy dose of energy conservation.Nor did he address the huge infrastructure issues that lie before us. 1) the assumption that carbon capture will not be available is false. One of our portfolio companies has a new type of carbon capture system up and running in pilot form. It can capture CO2 from power plants for $15/ton. It won’t be used, of course, until there is a price on carbon or some other regulations requiring its use. 2) All we need to do is put a rising price on the CO2 content of fossil fuels and/or limit the supply through a cap. The industry will adjust by (a) stopping new fossil fuel plants, (b) implementing CCS, (c) demand will lower through efficiency, (d) renewable and other low carbon power sources will be implemented. Of course, if we don’t reduce CO2 emissions on our own, Mother Nature will see to it in other, less pleasant ways. In reply to Dan Miller: My exact words were “…unless a practical and timely carbon capture and sequestration (CCS) can be developed”. My article did not assume that carbon capture will not be available, but rather, raised questions about the cost of such a system. While the pilot program you cite may have a CO2 capture cost of $15/ ton this is not the whole cost for CCS. The NY Times article you refer to acknowledges this by pointing out that the cost for compressing the CO2 adds another $15 to $20 per ton. The total price might not be known until a full scale demonstration program has been run for an extended period of time. At this time one does not know what price for a carbon tax would be needed to break even with the cost of CCS , but it certainly will exceed $15/ton. The higher this break even carbon tax is, the more competitive renewable and nuclear power costs become. Other issues have been raised about CCS. For example, it takes energy to compress CO2, then more energy to transport it through a pipeline, and still more energy to overcome the back pressure of the receiving storage volume. At some point the energy required to accomplish CCS matches the whole energy of the power plant. Just taking the energy to pump CO2 through a pipeline, at what distance from a fossil fueled power plant does the energy needed to pump CO2 through the pipeline match the energy produced by the power plant? This break even distance is the maximum distance CCS could be considered for a power plant. If there is limited CO2 storage within this distance, then the integrated output of the power plant would similarly be limited. Do you have any analyses that estimates such limiting distances and do you have a cost estimate for constructing these pipelines? As you have pointed out before, CO2 lingers in the atmosphere for long periods of time. Therefore the leak rate from the storage volume is important. For example, if the leak rate is one percent per year, half the CO2 pumped into storage would have escaped back into the atmosphere in just 50 years, approximately, and will remain there for a long period of time. Has the CCS community established acceptable leak rates for the CO2 placed into sequestration?.How might seismic events affect these leak rates? Combining both leak rate limits, limiting distances and costs, and limited storage volumes, how many megawatt-years of power production from coal and from natural gas can be accommodated by CCS? Any thoughts about the leakage issues raised in my last response? Further, do you have any figures on the percent of a plant’s energy output is consumed by the CCS process itself? Leakage rates of 1%/year are unacceptable. To qualify as sequestration, you need to demonstrate sequestration for 100 years, so there are economic incentives to find methods to sequester the CO2 for a long time (at least you need to be able to convince regulators that it will stay for a long time). Fortunately, there are many geologic formations that can work, including some that turn to the CO2 into a solid (calcium carbonate IIRC) over about a decade. As for energy usage, current Amine-based systems use 20~30% of the power plant’s energy to capture the CO2. That is one of the reasons these systems are not being deployed commercially! The Inventys system uses about a third to a fourth as much energy. In any case, the energy cost is included in the $15/ton figure and the compression energy is included in the ~$10/ton cost for compression, so the $35~40/ton CCS figures includes all the costs, including energy, so if the CO2 fee is above that, it makes sense to do it. You’re correct that the capture cost is not the total in-the-ground CCS cost. With $15/ton capture cost, total CCS cost would be in the $35~40/ton range depending on how far the plant is from a sequestration site. Your comments about CCS taking up the energy of the plant is not correct. If it were true, natural gas pipelines would not make any sense since they would use more energy than they transport. Also, there is a CO2 pipeline that runs 1000 km from Colorado to Texas carrying natural CO2 to oil fields. The cost of that CO2 is fairly cheap so transporting CO2 over mostly shorter distances for CCS should not be a problem. The problem is that there is no reasonable price on CO2 so there are no incentives to implement CCS. Once the carbon fee hits around $50/ton, it will be cheaper to dispose of the CO2 via CCS than pay the fee in many if not most instances. Thank you for the report, I have not yet studied it, but a cursory review reveals some rational conclusions. Given some time I would like to offer comments. The essential answer is that a carbon free renewable electric energy future is very unlikely. Unless of course we find a way to import our electricity from France. Right now, it is obvious that anyone who understands basic physics, chemistry and economics should understand that the cost of carbon capture & sequestration would prompt revival of the stone age. We can debate the reasoning and the predictions of those who support CC&S and renewables; but to no avail. Support of renewables based energy is a religion. One cannot approach it with logic. You have faith or you don’t have it. It is a genetic thing. Wind and solar have some benefits, but they are not sufficiently reliable to support our massive power grid energy requirements, now or in the future. They require new technology for economical massive energy storage capacity. Haven’t seen any promising technology yet. Over the past twenty years or so, we have made great improvements to the efficiency of power generation, thereby reducing unit fuel consumption per kw-hr by more than 50%. But no one is taking a victory lap! Doesn’t fit the Green Energy Dogma? There are many “energy religions” and the different advocates attack each other. Anyone can point to overstatements in the other “religious” camp from ” Too cheap to meter” to “Sufficient renewable energy is here right now” to ” Climate change is a huge international hoax”. Once you get beyond these extreme statements one may conclude that, even with everyone working together, it is far from clear that we can both protect our national security while limiting the effects of climate change, both in a timely matter. My paper argued that we will need all the tools we have at hand and that the kind of “religious” warfare promoted by the extremists is dangerous.Every “energy religion” has some merit, but too few are inclusive enough to deal with national security, climate change, and economic viability simultaneously. It is time to become much more inclusive. At the risk of becoming a “Johnnie One Note” … the biggest issue I have with those who question our ability to beat our fossil addiction is that a vision of the future energy system must begin with a commitment to efficiency and on-site generation – including an emphasis on micro-grids. Until everyone stops looking at the future in terms of our old centralized energy generation past there will still be questions about the ability to meet our requirements. Also, lots of us have questions about the EIA projections. If you look back at their projections for today they were way off. Efficiency of all kinds … Bloomberg had a terrific article about CA with Jerry Brown and Arnold going to the UN next week! The second piece of good news change is from NY with their new rules, rules that will allow the creation of a “distributed system platform,” whose idea is to create a competitive retail market with new services. The RMI article acknowledges this is just a beginning but CA is moving too. Finally, there is the problem of the EIA projections. Three articles that question the basis of the projections and their inability, or the choice, to absorb the dramatic changes that are happening. generation is proving cheaper everywhere. Thank you for the links to other references. I look forward to reading them. California does present a good example of what can be accomplished through energy conservation. Today, per person, Californians have half the GHG emissions than the average for all US citizens. Yet with all their progress, they still have a long way to go. I question your emphasis on distributed renewable energy, to the exclusion of CCS and nuclear power, as the path forward. I suggest you read “California’s Energy Future-The View to 2050” which is in the OEPF library. This excellent and balanced study by a diverse group of experts came to particular conclusions which appear to be in conflict with what you are saying. First, they concluded that no single source of energy would be sufficient to meet California’s 2050 GHG abatement goals. This led to the conclusion that multiple sources of energy, plus conservation, are essential and this included CCS and nuclear power, as well as renewable energy. Second, their effort highlighted a critical problem that often gets ignored in the wasteful debate of “my energy source is better than yours”. They were not able to reach their 2050 GHG emission goals because a large amount of fossil based liquid fuels would still be needed, even after conservation steps were taken and much more of the transportation sector was electrified. This California Energy Future Committee concluded that California could get about 60% of the GHG abatement it seeks with technology we largely now know about (including nuclear and CCS), however ” We can get the rest of the cuts to 80% below 1990, but this will require new technology innovation and development”. Based on their statements, we do not yet have everything we need to achieve the goals established by the International Panel on Climate Change..Producing non-carbon or no net carbon liquid fuels by 2050 in sufficient quantities at a price that is affordable is critical, but this observation is often lost in the clamor. We don’t have everything we need. If we did, we might as well shut down NREL. The concept of an all distributed renewable energy future is problematic both technically and philosophically. To repeat the obvious, renewable energy sources, of which I am a large supporter, are intermittent and variable. This is a fact of nature and is undeniable. In order to overcome these limits renewable energy needs large amounts of energy storage. Today, the electrical grid acts like a backup for many renewable energy systems and, for these systems, the grid is acting like a large storage system. The problem with this is that the fossil fueled plants that compensate for renewable energy’s intermittent and variable characteristics emit GHG. This depreciates the value of the renewable energy sources and these plants in their renewable energy backup mode are run inefficiently, This two-system approach of renewable energy system with a necessary non-renewable energy backup system is expensive. So, until renewable energy systems have sufficient dedicated energy storage they will not be able to be the only source of electricity. Creating such a large renewable energy storage system is not simple. We are well aware that the sun does not shine at night. However, actual data show that in the winter time in sunnier locations the solar energy that might be collected is about half of what might be collected in the peak summer months. To compensate for this reduced solar energy on an annual basis would require very large energy storage systems. As Professor Nocera of MIT has observed if pumped hydro storage were to be this renewable energy storage system it would require thousands of Hoover Dam sized hydro systems empting and filling each day…not too practical. Some have postulated that when solar energy production is low, that wind power would make up for this, even if it meant that the electricity from wind turbines on the east coast would have to be transmitted to the west coast during the night time. The NREL has made a study of the cost of insufficient electricity. Today our electric grid is about 99% reliable, yet this one percent of insufficient electricity or unacceptable voltage costs the nation well over $100 billion dollars per year. Does anyone believe that any combination of intermittent solar energy and variable wind power will result in an electric power system that is 99% reliable? Once again, in order to achieve acceptable reliabilities, massive energy storage systems would be necessary, but they have their costs too. Oddly enough, some distributed renewable energy advocates seem to attack centralized electric utilities, even though these same utilities often make up for the shortfalls of a number of renewable energy systems. Note that centralized electricity systems include large hydropower, wind farms, solar power towers, and large algae and biomass systems. The electricity contribution of renewable energy in 2012 from hydropower was 7% and wind power 4.1%, while solar energy was only 0.11%.If we eliminated centralized systems, some 99% of the present renewable energy electricity contribution that comes from centralized sources would also be eliminated if such an extreme approach were used. Eliminating centralized sources of electricity would rule out tidal power, wave power, OTEC, wind power from high altitude sources, etc So there appears to be a conflict between some renewable energy advocates and those that only want distributed renewable energy. Are we to bet our electricity future on something which today is only about one part in a thousand of what we now produce? You seem to be concerned that not enough people have embraced the vision of an all distributed renewable energy future. Part of this reluctance might be because of the technical issues raised above. Another part appears to be the concern that without a new electricity system that is carbon free, but also reliable, has a reasonable cost and diverse enough to withstand major human disruptive actions and the effects of natural catastrophes, we will be in great trouble. Attacks on centralized electricity systems can be viewed as part of a much larger movement to rebalance individual protection and security that the overall society is examining. However, ideology is not a substitute for technology any more than technology is a substitute for ideology. If people believe that an all renewable decentralized electrical system is unworkable by 2050 they will oppose actions that tear down a house before the new one is built and shown to be better than the old one. Advocates who declared that nuclear power would be too cheap to meter alienated those that did not believe this. Advocates who imply that the world would be more benign if all energy was from solar sources seem to have forgotten that the Aztecs lived in an all solar world and they were not benign. People who advertise that there is so much sunshine spread out over th3e earth it could meet all human needs many times over, alienate other people. There are islands in our oceans that are surrounded by an “infinite” amount .of water, but the islanders can be very short of drinkable water. The challenge is not in how much sea water there is or how much solar energy there is; the challenge is getting these essentials into a form that is fit for human consumption. Some have compared risks of one energy source to another and concluded that renewable energy presents far less risk than fossil fuels or nuclear power. This is an apples and oranges type of comparison. The risks from fossil fuels and from nuclear plants are tied to producing energy. The risks from renewable energy are tied to not producing sufficient energy, in spite of the ubiquitous nature of solar energy. Insufficient energy has led to environmental degradation and even warfare. People can resist all the forms of energy because of their concerns about fears about the risks associated with them. The risks differ, but all forms have significant risks, including renewable energy. It is time to be more inclusive in our choices. I don’t think we are on the same page. Have you seen the ad about Fraud protection and Frog protection? The CA paper is talking about reducing emissions by 60% below the 1990 level. My point has been about the percent of renewable generation we can live with by 2050 or before. NREL says 80% generation from renewables by 2050 is very doable. That does not include CCS which hasn’t proven itself yet nor is cost effective. I do hope you will read the Hunter Point stuff and maybe check out the E-Lab reports from RMI. Especially the one about the Economics of Grid Defection. 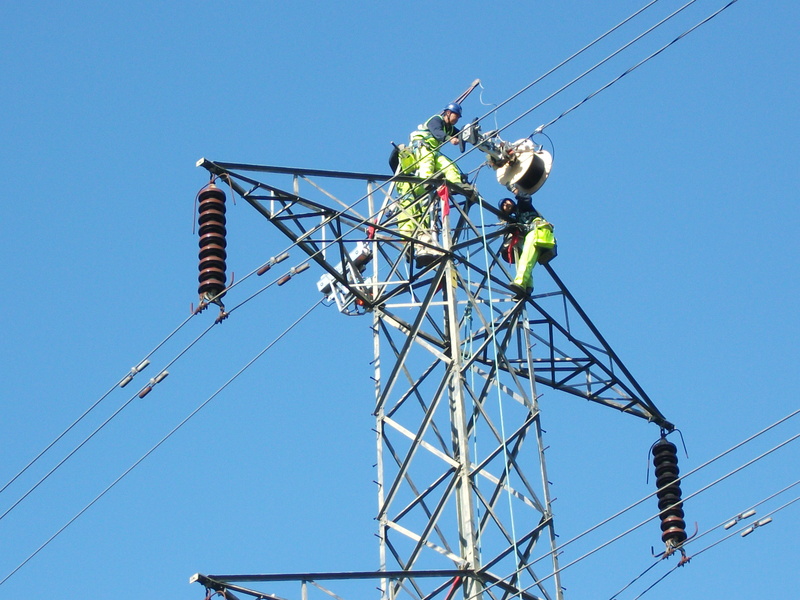 E-Lab wants the utilities to step up before more and more decide to defect from the grid. “An Independent DSO would act as an independent market-maker for a diverse number of behind-the-meter participants to buy and sell energy services, and it would not own any physical assets itself. The DSO would optimize distributed energy resources (DERs) like energy efficiency, demand management, demand response, distributed generation, electric vehicle chargers, building management systems, and microgrids. It would provide a market that coordinates and accurately compensates the owners of these DERs for the benefits they provide to the grid, including avoiding alternative investments. By allowing DERs to compete with more traditional energy service providers, the hope is that the least cost resource mix will be uncovered, lowering costs for customers. No argument with your 9/13 posting. What is clear to me is that our group of “Experts” are about dismantling the system (i. e. the grid and it’s power supply) that we have, and that we know works reliably well; and for which we have no demonstrated replacement that is reliable and economic. Yet the arguments become ever more strident and opinionated. What are the standards for selection of an “Expert”? and what can be done to tone down irrational arguments? It should take more than reading a report or a “study” to support a Expert “position.” Let’s try fact and logic. For example, if one advocates terminating fossil fuel based power generation he should understand what must be terminated and the consequences of that action. Who among us is ready to curtail his personal use of electricity, and if willing, what are you waiting for? Sure we can allow the price to rise, that we only the poor will suffer. Please, lets think this thing through! As I read Herschel’s paper It seems we have to run faster than Hell, just to keep the grid alive for most of us. Maybe it is time to start running. Some of us are advocating for making fossil fuels pay for their external costs. Our current system of letting fossil fuels pollute for free has led to what Sir Nicholas Stern calls the biggest market failure in history. If you put a rising fee on CO2, it will make some forms of energy (coal and tar sands for example) non-competitive. That’s a good thing, because they really aren’t competitive without the artificial subsidy society provides (the ability to pollute for free). To handle the problem of the poor being impacted by higher costs for fossil energy and things produced with fossil energy (e.g., food), some (including me) suggest a “Fee and Dividend” policy where 100% of the carbon fees collected are returned to every legal resident on an equal basis. In that case, the poor earn more from the dividend than they pay in higher prices because they use far less CO2 than the average person (in fact, most people will earn more than they pay because wealthily people — and the government — use more CO2 than the average person). If the CO2 fee rises over time, it will give energy producers time to adjust and in the end will lead to a more robust economy. Let’s explore the fee and dividend concept a bit further. Based on EIA data, for 2013 the contribution of electric power, in terms of millions of metric tons of released CO2 was 531 million metric tons for electricity used in the industrial sector, 773 million metric tons in the residential sector and another 744 million metric tons in the commercial sector. This adds up to 2048 million metric tons just for 2013.If there were a fee of $35/ metric ton of carbon dioxide for CCS this would amount to a total fee of about $72 billion dollars just for 2013. If we are to keep the fossil fueled electric power plants but capture and sequester their CO2 emissions somebody has to pay the fee. Is a massive transfer of wealth from the rich to all others in the order of $72 billion dollars per year doable, let alone desirable? Even if wealthy people, per person, consume more energy and produce more CO2 than poor people, there are far fewer wealthy people than there are poor people.For the sake of discussion, suppose that 5% of the population is classified as wealthy and they produce twice the CO2 than the average person does. That means that 10% of the fee, or $7.2 billion dollars, would be paid by the wealthy. This is hardly enough to offset the remaining $64.8 billion dollars paid by everyone else, including the poor. It is not clear to me that the fee and dividend approach would work the way you would like. There is no free lunch and all of us would have to pay for CCS. Even if a poor person were to pay significantly less than a wealthy person, it could still be a hardship It is possible that the fee and dividend approach would offset the costs of the very poor, but all others will have to pay for this. Dollar for dollar, it might be more effective to use the fees to install free energy conservation technology for everyone. Herschel: The 80/20 rule probably applies to CO2, i.e., 80% of the CO2 is generated by 20% of the population. Even if it is not that skewed, it’s something like that. Also, the government generates ~30% of the CO2 and does not qualify for dividend. So the bottom line is that it is true that most people will make more on the dividend than they pay in higher prices. Also, whatever amount of CO2 you use, it’s fair that you should pay more, proportional to your use. Why should I subsidize your CO2 use? The whole idea is to make CO2 use more painful so that you use less and find alternatives. Here are some further thoughts about the fee and dividend process you have discussed. I accept that it may be possible to redistribute the dividends more or less as you describe it. However, I’m not sure that by doing so that this doesn’t result in an actual increase in the release of GHG, the opposite of what you wish. It seems plausible that when poorer people actually net more money through their dividends than they paid in their fees, that they may use this excess money to purchase more GHG intensive goods or take more GHG intensive actions. Here are a few examples (1) they may purchase more beef than they do now and beef is fairly GHG intensive. (2) they may raise the temperature on the house thermostat, if the house is usually kept at a low temperature to reduce energy bills. What needs to be done is to show that the money taken from a smaller rich population has a GHG reduction that is larger than the GHG increase by the larger poorer population. In the middle income situation where the fee, more or less, equals the dividend, there is no significant driving force to cause a change in behavior that would affect their individual GHG releases. In summary, just redistributing the dividends as you describe may not result in the GHG reductions you wish for. One would have to study, for each income bracket, what the overall GHG releases are for that bracket as impacted by the fee and dividend process and then add up all the negatives,positives, and zeros to see if there would be a meaningful decrease in overall GHG releases. Personally, I think a process of subsidizing conservation across the country, like insulating all buildings and giving federal subsidies for new high efficiency new cars or supporting electrified mass transportation in urban areas, might be a far more effective than distributing these dividends to be used at the discretion of the recipients..
Herschel: While you are correct that the economic benefits of implementing Fee and Dividend (F&D) may lead to some increased energy use within certain populations, the overall impact will be significant GHG emissions reductions. We are putting a price on the bad thing — CO2 — and that gives everyone (individuals, companies, governments) incentives to use less fossil fuels through efficiency and alternatives. In addition, power generators have incentives to reduce GHG emissions, so if your electricity is green, it doesn’t matter (much) if you use more. As I previously mentioned, I believe once the fee hits $50/ton, it will be cheaper to use CCS than pay the fee. And when the fee hits $100/ton, with more R&D, it will be cheaper to use air capture than pay the fee. The economic study I linked to shows a net 52% reduction in emissions after 20 years (not assuming the dramatic reductions due to low-cost CCS that I think is possible). Regarding subsidizing efficiency, the first problem is it doesn’t position the US to put a border duty on products coming from countries without a carbon fee. If we only reduce our emissions — even to zero — and others do not, we are still screwed. So the border duty is essential. Second, due Jevon’s Paradox, improving the efficiency of use of a commodity results in more use of that commodity! The only way around it is to put a fee on the use of the commodity, which gets us back to F&D! I suppose there are many of us who would rely on government to manage a program as lucrative as the tax on carbon, as you seem to favor. The idea being that the money would be returned to those of us who cannot afford the price increases caused by the tax. The tax, plus a margin, would be passed on to the product purchasers. This scheme is a tax on credulity as well as carbon. Our incredible IRS would presumably manage the cash flow, if not the entire program. As If we have not been taught by current events, we could go back to the Grant administration and earlier for evidence. Most of the “tax” money will find its way to corruption and other “programs”. If we fail to learn from history, we shall repeat it …..
No matter how idealistic we are, most of the taxes would have to be levied, collected and allocated by foreign governments; particularly China and India. I do not think it is a good idea, even though it sounds good in theory, enforcement would not be equitable. And too much of the money would be separated from the poor folks. Jack: With Fee and Dividend, all the money collected (every penny) is returned to every legal resident on an equal basis, so you and Bill Gates get the same dividend every month. It is completely transparent and only depends on 2 variables (how much money was collected and how many legal residents there are). While you may not trust government to handle this (or anything apparently), we have chosen this particular political system and we do need to rely on it to protect its citizens from clear and present dangers. A good response, but not very convincing. I don’t believe it would actually happen that way, no matter how the legislation is crafted. Human nature is what it is. In any case China will have much more influence on the outcome. Doesn’t matter much what we do, although I suppose you believe they and others will follow our lead..
Jack: So your criticism of my proposal is that a simple, transparent policy won’t actually be implemented the way it is supposed to be? Hmmm… that seems more like a criticism of all policies and government, not a criticism of my proposal. So, thanks. First, climate change depends almost exclusively on cumulative emissions (not the rate of emissions) and by that measure we are still the largest contributor to climate change and we still are the largest emitter per capita. So we do have an obligation and a duty to reduce our emissions. Second, why should China reduce their emissions if we don’t reduce ours? Third, China is actually ahead of the US on carbon pricing and they plan on instituting a national carbon pricing policy in 2 year (they are currently experimenting with regional carbon pricing policies). Fourth, carbon pricing policies promote the clean energy industry which is clearly the future, so why should the US miss out on that? Fifth, the Fee and Dividend policy I propose includes a border duty on products coming from countries without their own price on carbon, so other countries, including China, will have an incentive to implement a carbon price if we act. i draw your attention to an article in the July 16, 2014 issue of the Economist ” The benefits of low and no carbon electricity technologies” by Dr. Charles R. Frank of the Brookings Institute. His Economist article should be put in the OEPF library. Dr. Frank’s Economist article is similar to mine, but better in some respects in that he had more accurate capacity factors than the ones I assumed and he looks into the impact of different capacity factors on the ability of different technologies to reduce GHG releases.However, I examined the issues of diversity and infrastructure a bit more than he did.Overall, our conclusions are similar. As of today, he and I are exchanging papers. I don’t know what the availability of water is in Lubbock, Texas which is far from the Gulf of Mexico. However, some cautions are in order for large thermal solar plants in dry or desert areas like the plant recently completed in California, the Ivanpah plant. Scientific American, in January, 2008 published ” The Grand Plan for Solar Energy” by K. Zweibel, et al.The authors speculated that large solar plants in the Arizona desert could supply all the electricity needs of the US. I noticed that their lovely schematic did not show any heat sinks so I used that article’s Q&A blog to get an explanation. After a few tries I got back the reply that this huge solar array would require the construction of 273 of the world’s largest desalination plants stretching along the California coastline, down through Mexico’s Baja California peninsula and then over to Texas. These desalination plants, operating 90% of the time, would have to produce 13 billion cubic meters of water per year which would then have to be transported long distances from these coastal areas to Arizona by about 100 rail lines.This would be an economic and environmental nightmare as these trains criss-crossed over a fragile desert. It is possible that this scheme would even be self defeating. The clouds of water vapor from the cooling towers might largely block the same sunlight needed to power this “Grand Plan”. Now the water ultimate heat sink situation in Lubbock may not be as extreme as in the Zweibel “Grand Plan” but it is worth looking into. Also one wants to look into the variation in solar energy throughout the year. Not only is there the well known day/ night difference, there are seasonal differences. Solar insolation measurements made at Desert Rock, Nevada show that the energy for the solar collectors, regardless of their advanced technology, is only half as much in the winter as it is in the peak summer months. To be effective contributors to our electric grid, energy storage, not on a day by day basis, but on an annual basis needs to be examined. I suspect that this would be quite costly. I can get you the Desert Rock data, if you wish. Ivanpah has a dry cooling system for the steam turbine condensers. No reason to think it will not work as well as many others that have been in service for decades. Many years ago I visited a 2400 Mw coal fired station in South Africa that works very well without cooling water. I am sure their are many other plants (less than 2400 Mw) in USA that operate sans cooling water. Ivanpah will have many problems, but water should not be one of them. I understand that it achieved a capacity factor of about 18% during the first 100 days of operation. See my previous note to Herschel; conventional rankine cycle steam plants can, and do when necessary, operate reliably without use of water for a heat sink. They can use air cooled, fan driven ambient air finned tube heat exchangers to cool a closed circut cooling water loop that provides the heat sink. There is a heat rate (efficiency) penalty of maybe as much as 8 % or even 10% depending on plant design. There is no reason to expect a reliability penaty. Water use is quite trivial. Only need is to replace any unsaved losses from any vents or spills, most of which can be saved. The greatest water loses would probably be those associated with uncontrolled leaks, personnel sanitary uses, and perhaps office cleanliness. And …be careful of the Economist Article. It has been taken apart by several others … who say that the stats are wrongly stated and the argument can’t hold water. I look forward to reading the material you referenced. As to the article in the Economist, it may be rather challenging to some of its reviewers to accept that some energy sources, other than renewable energy, may be more cost effective than today’s renewable energy sources and offer more GHG reduction per dollar of investment than today’s renewable energy sources. I would have to examine the specific issues raised by its reviewers to see if they are valid. However, both my discussion paper and the Economist article make the same point: when discussing the economics of different energy sources: you need to examine the actual energy delivered per dollar of investment. This means comparing kilowatt-hours per dollar of investment, not kilowatts per dollar of investment. Once the kilowatt-hours/dollar of investment is the economic metric for comparisons, it becomes immediately clear that renewable energy sources, with their inherently low capacity factors are more expensive than nuclear plants which have very high capacity factors. This is more than an economic issue, it is an environmental issue because the nuclear plants will abate more GHG per dollar of investment than renewable energy sources. One may wish to make economic comparisons on a wider basis by including other costs such as dealing with nuclear wastes, decommissioning, the risk of accidents and subsequent contaminated land, etc. One might also want to include the need for large amounts of energy storage, the need for new transmission lines,the use of toxic materials in solar panels, etc. when making a broader economic analysis of renewable energy. Some might wish to compare costs over the whole fuel cycle for each energy source. Such comparisons would be useful, if conducted in a consistent manner. ” California’s Energy Future-the View to 2050″ was to reduce GHG releases by 60% which would be at odds with the IPCC’s goal of an 80% reduction by 2050. It is my understanding that the study’s goal matched the IPCC’s goal of an 80% reduction by 2050, but that the analysts ran into a problem of still depending on some fossil fuels in the transportation sector and that they could only identify actions that would result in a 60% reduction. The study did a huge service by highlighting the difficulties in eliminating all fossil fuels in the transportation sector.. So let’s both go back and reread this report to see if what I have stated above is correct. There is one area that I would like to get your views on. When discussing renewable energy, some advocates want to limit this to just distributed renewable energy. This, highly exclusive approach to renewable energy would eliminate hydropower, wind farms, solar power towers, utility sized photvoltaics, large biomass liquid fuel refineries., OTEC, wave power, tidal power, etc. Today, approximately 99% of the renewable energy that we do produce comes from centralized renewable energy facilities. Even for the small part of the population that would like to live completely off grid, the solar panels, wind turbines, and photovolataic systems and back-up batteries they might purchase are all made in centralized factories, often by very large companies like General Electric. What are your views on renewable energy vs. distributed renewable energy only? “My colleague Titiaan Palazzi reconstructed Dr. Frank’s spread­­sheets, reproduced his results, then simply updated the nine most egregiously outdated figures to those in the latest official historical statistics (not forward-looking projections) from the U.S. Energy Information Administration, Department of Energy, Nuclear Energy Institute, and similarly authoritative sources. My thoughts about distributed vs centralized electricity generation …. The costs of solar PV dropping 75 percent in the past six years, investment in on-site generation is growing globally. Behind the meter batteries are not far behind. I see this representing, as CA does, more than 60% of generation when you include the availability of new financing to retrofit our current buildings. The classic retrofit at the Empire State Building did away with over 30% of their electricity requirements. I also think that local geothermal heating/cooling could be a terrific substitute for oil heat in the north where land is available to each building. Wave and tidal power are interesting … I once watched the tidal bore in Canada, but the point is what resources are available where. Utility scale solar is available in the SW, but there are problems with doing that. Why centralize what you can do locally and sizzle the birds while you are at it? Just because panels are cheaper if bought in quantity and hookups are simpler and fewer? As I have said in other post, base power will look very different with widely distributed and varied generation. Hydro and gas can do some ‘smoothing’, but the best bet is the micro-grids that the DOD is learning how to do best. A “utility in a box” represents a fundamentally different challenge for utilities. “Solar PV and other distributed resources without storage, net metering, and energy efficiency still require some degree of grid dependence, … behind the meter batteries allow customers to be free of central power”, which is why E-Lab wants the utilities to step up now. And here is some big user data-center info … Apple is close to its goal of powering all its facilities 100 percent by renewable energy. Its corporate campuses and data centers are now at 94 percent renewable and rising. Their data center in Maiden, N.C., relies entirely on renewable power. Two solar arrays provide more than 60% of that power. A 4.8 Bloom Energy fuel cell and electricity generated from methane gas at a nearby landfill produce additional power. Google, who has invested over $1B in renewable energy, worked with NextEra Energy Resources to funnel 48 megawatts of wind-generated electricity to its Mayes County, Okla., data center. The Google data center in Hamina, Finland, uses seawater from the Bay of Finland to cool its servers, storage systems and network devices — another green initiative that saves rather than generates energy. E-Lab wants the utilities to step up and thinks they will do themselves in if they don’t. I tend to agree. 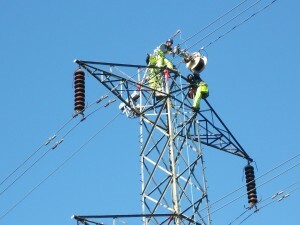 There are services that the utilities could offer to all customers, some they currently only offer to major customers. Thank you for the analysis referenced with your 9/11 posting regarding the future availability of electricity (Will there be enough?). My answer is… That’s a Hellova good question. I respectfully offer the following comments re your referenced paper. The author has prepared a paper in response to a report by the “International Panel on Climate Change” which marked the year 2050 as the year in which Greenhouse Gas emissions must be reduced to established targeted levels. The paper presents a set of possible actions to achieve the International goal. It is based on the premise that GHG emissions from electric power generation plants must be reduced to zero by 2050. The author describes nuclear oriented generation mix scenario that would achieve this goal. Unfortunately, I do not believe this goal can be met without changing our economic and political environment. In the modern world, alternative possibilities seem to be endless; however, any serious attempt to meet this International goal could result in chaos and poverty that could risk the advance of modern technology. As it has turned out, the USA is not the most significant source of GHG emissions. If we must act, let’s do it in concert with all the major economies. The author has provided a fine contribution to our energy policy discussion in keeping with his long and commendable career in public service. He describes an “all out” approach for the total elimination fossil fuels for the production of electrical power. The scenario contemplates a future generation mix that is 50% nuclear, 50% renewable, and 100% GHG emission free. This approach is not actually advocated, but the requirements are described and specific cost estimates are identified. In my opinion, this approach to GHG elimination cannot happen because it is politically and financially impractical, if not impossible. We cannot achieve the International Goal by means of the total elimination of fossil fuels for electric power generation. The author’s position that we cannot rely on CC&S seems appropriate in view of current technology and expected future developments. We shall soon have a full scale commercial model to evaluate, thanks to the Southern Co. / Mississippi Power Co. at Kemper County. The “magnitude of the effort required” is NOT unprecedented as the author states. World War II is an excellent example of the magnitude of the effort that could be required if we are to eliminate fossil fuels. Zero GHG emissions from power generators and a 50% nuclear generation mix by 2050 would require substantial mobilization of the national economy akin to the WWII effort. A democratic political consensus for this kind of action would have to be driven by public fear of the consequences of global warming. As the author implies, but does not discuss, the social changes required to achieve zero GHG emissions would require expanded government authority, and possibly ownership of power generation facilities.. Although the transformation of the transportation sector is not addressed, it is already happening. Natural gas is beginning to displace gasoline and diesel fuel. The change is actually driven by the free market. It is Interesting that GHG abatement is not driving this change, although it promises to achieve a very substantial GHG reduction. The author provides some interesting data, in the form of official forecasts for electrical load growth. I would not challenge this data, but we should recognize that the data is based on many uncertain premises. The author presents a rather broad general view of the current power generation sources and a perspective of the trends as we approach the target year 2050, when power generators no longer emit GHG. The presentation is good as far as it goes. It is obviously based on premises that may be challenged. The premises are mostly judgmental. •	We are presuming, for discussion purposes, that we are to reach the 2050 goal, and that we need to get 50% of our electricity from carbon free nuclear power plants. However, all of the existing plants will exceed their licensed life before 2050. Replacement of this capacity before 2050 is not a realistic probability. Even if we had a democratic public consensus to replace all of these plants, we do not have the monetary, physical, or personnel resources to approach this goal. In addition to replacements, we shall also require many more new plants to accommodate load growth. •	The retirement of nuclear plants is likely to be accelerated because they are not competing successfully with natural gas fuelled combined cycle plants. This trend has proceeded in part because of the advent of wind and solar renewables. The renewables’ annual operating capacity factors are in the range of 25% to 35%. Their capacity is often lost quite rapidly because of wind failure, clouds, and sunset. This characteristic of wind and solar forces the grid operator to have reserve capacity on line and available, to cover the lost production…instantly when needed. Nuclear plants are not sufficiently nimble to provide this capability. Gas turbine plants perform this function quite well. •	The author recognizes the importance of energy storage to the mix of generation assets. Wind and solar cannot successfully compete without the addition of huge energy storage capacity (or massive additional subsidies). Economic storage technology on the scale required, does not seem to be on the horizon. The capital cost estimates appear to be reasonable based on current technology. The author has not addressed the source of all this money. It may be useful to put some of this in context. •	The capital cost “today” for nuclear plant construction in France is reported to be $5,932 per Kw of capacity. I would expect our costs to be much higher in the USA. That is well above $6 million per megawatt. •	The capital cost of the entire 50 / 50 mix per Kw-hr generated during the first year of operation is reported to be $8,611 per Kw-hr. This calculation may be misunderstood. The energy portion of my bill (at home) cost is $0.08 per Kw-hr of electric energy, and I use about 1,000 Kw-hr per month. There must be a misunderstanding. No one can pay $8,611 per Kw-hr even if spread over 20 years it would still be $430 per Kw-hr vs. my current $0.08. We cannot seriously propose increasing the energy portion of my monthly bill from $80 a month to $8,600,000 per month. I must be missing something. The strategies presented are not new, they have been worked on for many years. There is no reason to expect any dramatic results, but I agree that we should continue or expand the current efforts. The industry has been doing this for more than sixty years. I am sure the benefits are already well known. It is more properly addressed as increasing the base load daily profile to permit the most efficient base load units to generate a greater percentage of the load, and thereby reduce the use of inefficient peaking and cycling units. The essential purpose of energy storage capacity is to get more electricity from efficient base load units. In actual current practice, the advent of wind and solar generation may have the opposite effect. It forces operation of relatively inefficient back up reserve capacity units to support unreliable wind and solar. This, in turn, forces efficient base load units to reduce their output. Another possibility could be the increased application of “Time of Day Metering” to penalize use of electricity during peak demand hours. This scheme has been discussed for many decades, maybe the time has finally come. Again, this objective is not new. Heat pumps are only competitive in limited geographical areas. Now, with the continuing availability of low cost natural gas, there is less market for electric powered heating systems of any kind. Of course the advent of electric powered transportation (think Tesla) would advance this goal. This objective has been a goal of my entire professional career. I welcome and support any useful ideas, but I don’t understand the author’s suggestions. The lower cost of foreign nuclear plants has little to do with their actual manufacturing and construction cost, except for their obvious labor cost advantage. The “manageable” cost difference is mostly regulatory and legal. We are much more adversarial and litigious than the rest of the world. Our manufacturing and construction technologies seem to remain competitive. We have led the world market in the past, but our nuclear build program is now down to about five units. The future is in question. The noted potential savings attributable to lower military and health costs are illusions. We are not leaving the Middle East; and the air has already been cleaned up by virtue of existing EPA regulations. Re: your comment 4.5: Here is a partial response to your thoughtful addition to this important ongoing discussion. If you google OECD – “Economics of nuclear power” you can obtain a more comprehensive presentation than I am offering here. One way to significantly reduce the costs of capital intensive projects like nuclear power is to deal with the cost of money.As shown in this OECD report, the median price (LCOE) for a nuclear plant in North America at a 10% discount rate about $75 USD per megawatt-hour. At a 5% discount discount rate the median price decreases to about $50 USD. Another way of expressing these numbers is that for the same money, the 5% discount rate would enable one to purchase a 1500 MWelectric plant for the price of a 1000 MWelectric plant. This is more than an economic issue, it is an environmental issue. For the same investment one gets 50% more reduction in GHG releases at the lower 5% discount rate than the 10% rate. Note that this large cost reduction has nothing to do with how advanced the nuclear technology is, it is merely a financial issue. Other technologies are also capital intensive, like many solar installations, but the financing is handled in a much more favorable way through actions like feed-in tariffs, etc.The history of US utilities attempting to get low cost loans from the federal government for new nuclear plants has been dismal. It appears that the money is there, but the difficulty in actually obtaining these funds has discouraged many utilities. Interestingly, many nuclear vendors have already recognized the importance of putting together an attractive financial package and countries like China, Russia, South Korea are using this financial tool to make sales. A representative from Russia’s Rosatom recently stated that they already have $100 billion dollars in oversea orders for their nuclear plants. A South Korean official, several years ago, predicted that their nuclear sales will someday exceed the value of their exported car sales. Perhaps some clever financial person in the US will put together a deal with the South Koreans to build a nuclear factory in the United States, just as they have built Hundai car factories and employ American workers and meet US OSHA requirements. The South Koreans would be wise to build a standardized plant that has already been certified by the NRC, to eliminate regulatory uncertainty. Further, the South Koreans should offer their plant, up and running at full capacity, for a fixed price subject to some site related costs (like in different seismic areas). On the American side a binding order for, say 20 or so of these plants should be made from a consortium of utilities. One might even consider selling shares in this financial venture. This could be a market based approach instead of relying on the federal government. On a related subject.natural gas is attractive today because of its low price and it only releases about half the GHG that coal does for equal energy production. Indeed, these low prices are contributing to the shutdown of some nuclear power plants. However, if one is also concerned about CO2 releases and climate change then the picture changes quite a bit. One might then consider the use of natural gas as a transitional fuel. Recent actions in Massachusetts are instructive. Massachusetts approved the construction of a new natural gas plant because of its low price and because it would be used to replace an older coal plant.However, this new gas plant will be required at some specified date to begin to reduce its output until it is finally phased out. The Massachusetts approach is a meaningful attempt to deal with both near term and long term issues of both cost and climate change. What it implies is that as the gas plant begins to be phased out, other actions like conservation and no-carbon sources of electricity would have to be available to replace the decrease in electricity production from this fossil plant. This Massachusetts approach appears to be an interesting model for the rest of the country, but it does mean that one can not afford to let these other non-carbon energy sources collapse in the meanwhile.